If you have herpes and experience heart palpitations, they may — or may not — be related. While a skin disease and a heart condition might seem totally separate on the surface, researchers believe there may actually be a correlation. Heart palpitations are often the result of an underlying condition and there is evidence from studies to suggest that the herpes virus may be one of them. One theory about the correlation is that a virus or bacteria sitting in the bloodstream for many years can disrupt the vessel walls. Another theory suggests that the inflammation experienced with herpes can damage the arteries. Either of these things can disrupt the flow of blood which can in turn lead to irregular heartbeat or heart palpitations. Another possible indirect connection is that herpes often leads to fatigue and/or fever, both of which can cause heart palpitations. Stress or anxiety is also a known cause. Heart palpitations are not typically dangerous and usually go away on their own. If they are not the result of an underlying condition such as herpes, a simple lifestyle change can suppress the palpitations. Medications such as beta blockers can also help control heart palpitations. In rare cases, heart palpitations can be a sign of a more serious heart condition. That’s why it’s important to see a medical professional if you experience heart palpitations, especially if you are also suffering from shortness of breath, chest pains, dizziness, or fainting. The medical professionals at FastMed can treat patients for both herpes and heart palpitations. 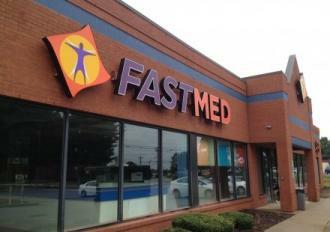 Don’t spend another day suffering — visit your local FastMed today.